Q. How can I view my invoice in the International Student Finance Portal? You can view your invoices by accessing the Invoice History tab, upon logging into the Student Finance Portal. To view your invoices, select the invoice number you wish to view. 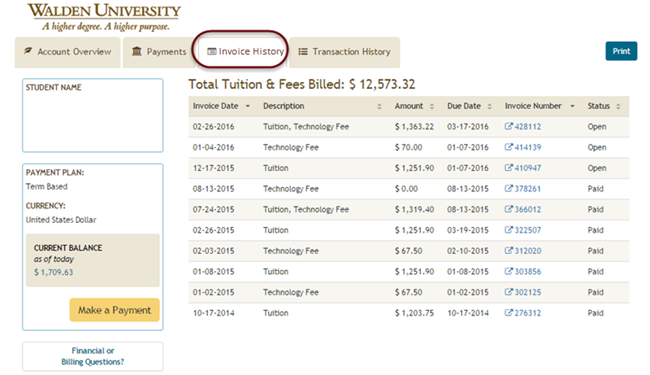 Note: If a change is made to your invoice, both the old and new invoices will appear in the billing history tab. You will then see the selected invoice.